I love special editions of books. The way they look, the way they feel, even the way they smell. They’re a beautiful rendition of an already amazing book. 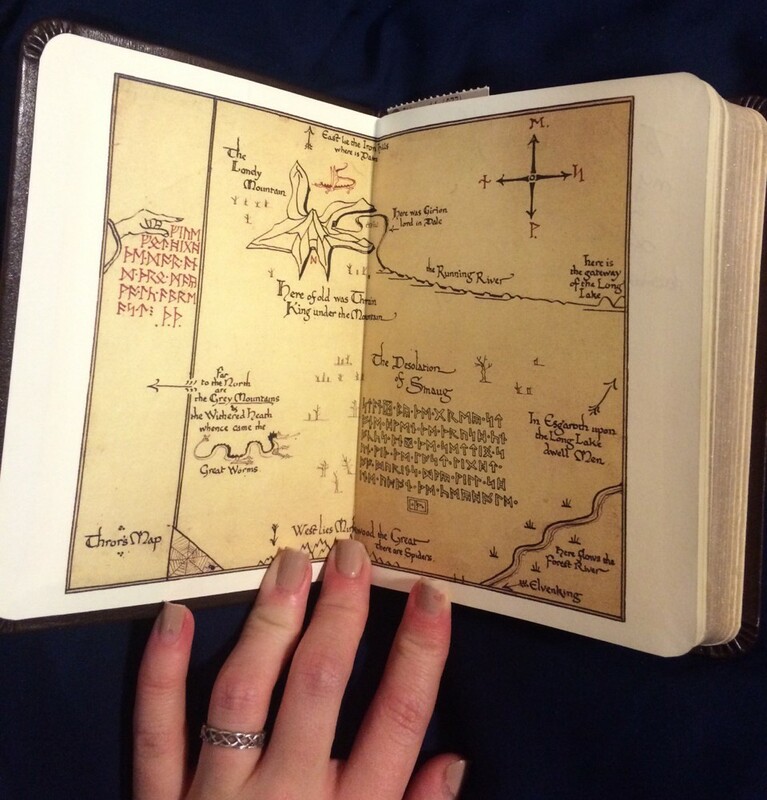 My favorite one is this leather-bound version of The Hobbit with gold-trimmed pages, maps, and various illustrations. Best of all, it’s got a sweet little note inside it from my dad. Special editions like that belong on a bookshelf. I love the idea of having shelves and shelves of my favorite books: signed, well-preserved, decorative. I think that special editions of books exist solely for the collector. To have your favorite pieces of literature, artistically bound and designed, in your hands, on your shelves… Words can’t describe that feeling. But it’s worth it to have all those inspiring words at your fingertips. Some people collect books for money. 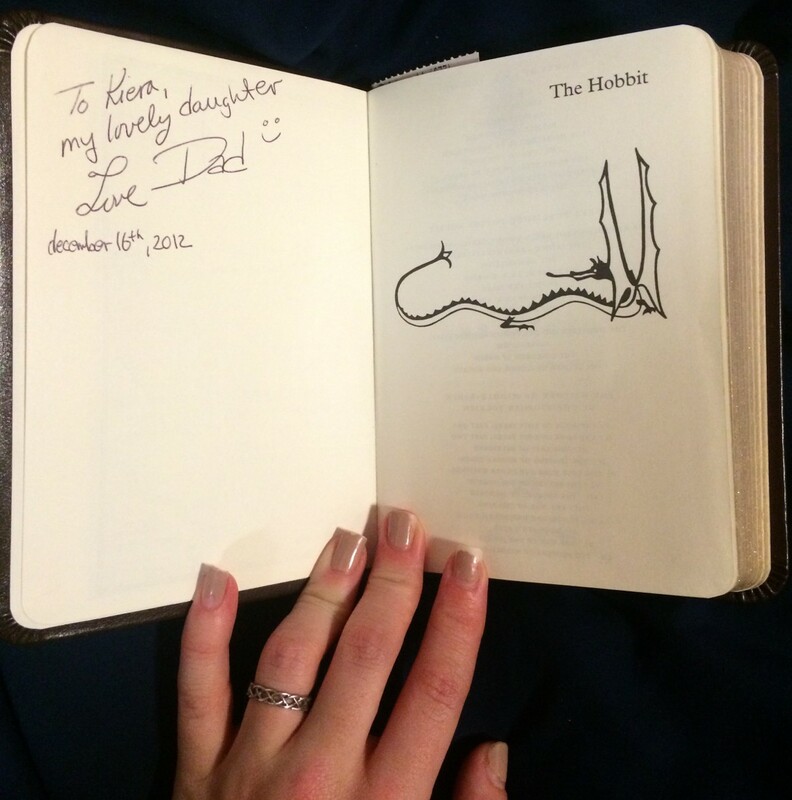 Some collect based on style, on genre, on passion… For me, The Hobbit was the book that inspired me to write. It seemed fitting that I jump on the chance to get a special edition. The first time I read this book in fifth grade, I fell in love with it: the story, the characters, the setting, the adventure, everything. It was a wild and mystical tale that I couldn’t bear to put down. I wanted to craft adventures and life on pages between two covers. There’s something magical about this book—something wild. What I found most intriguing of all was Gollum: a creature I’d never seen before. One I’d never even thought of. And then in comes this ring, the One Ring, and it created a desire within him. How could something so small end up being so powerful? It boggled my mind the way Tolkien made it seem so believable, as if it could actually happen or had happened. I admired (and still do admire) Tolkien’s ability to create a character that can argue with its alter-ego. Gollum and Sméagol: feeding riddles to Bilbo and deciding whether or not he should be eaten—and if he should be eaten even if he answers correctly. Tolkien had a way of creating sympathy for even the creepiest characters. He knew the words to say and write that would make you attach yourself to them, care for them, want nothing bad to happen to them. That’s the kind of author I think every writer aspires to be. It’s a talent to be able to craft a character’s demeanor, appearance, and actions so that your readers can fear them and love them simultaneously. I admire every writer who has that ability and I long to have all of their words in my possession to sift through, love, and draw inspiration from.